Styled with cyprie sweater and berna pant . This is a menswear classic with feminine charm. It's double breasted with a lapel button, so you can cozy up against the wind, or just pop your collar. It's made with an Italian wool fabric with 100% silk trim. 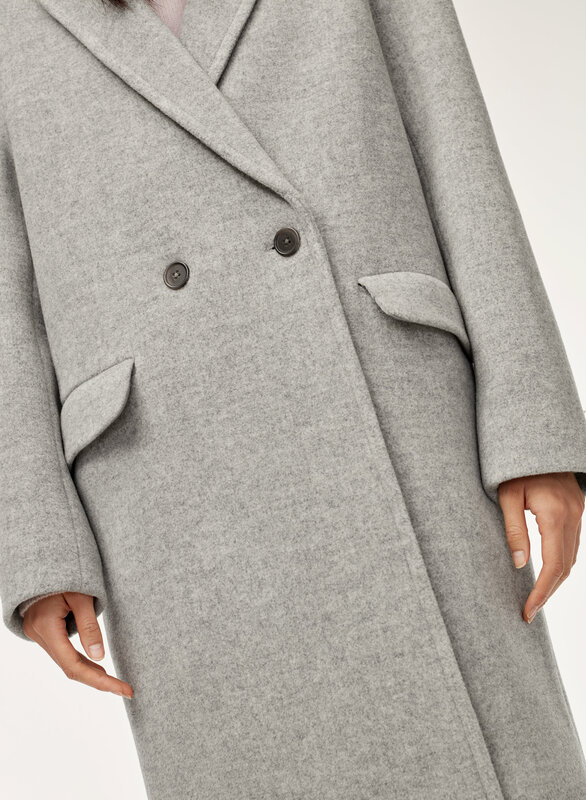 This is a gorgeous coat. Fits loose and a little boxy as I expected. 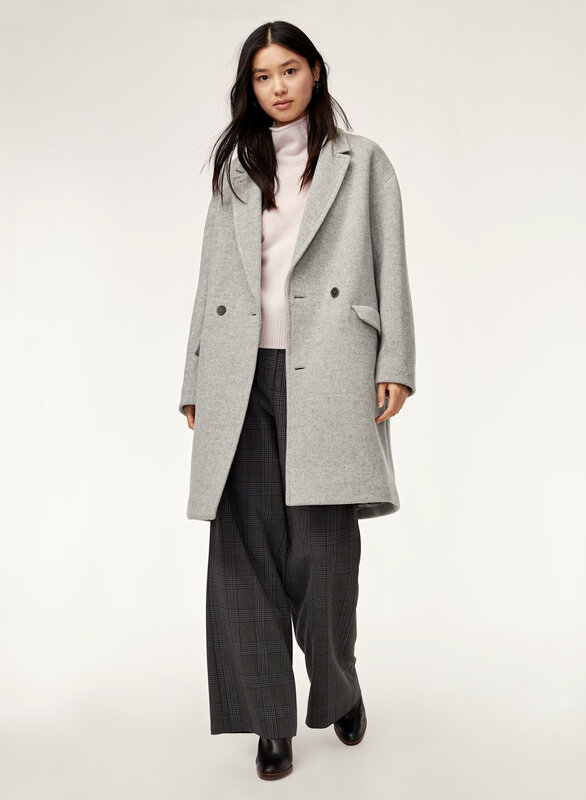 Has a nice menswear inspired appeal but isnt a structured coat and the shoulders do hang down and even towards the back a bit. It's an intentional falling off the shoulders a bit, same as on the model in the pictures. Also, there is lots of room under the armpit area which may bother some people, but I like the whole retro style. The colour Savile is a beautiful medium Camel colour which is not at all dark like the colour showing on the website. Its actually nicer than the constant camel colour I have in a sweater. For reference I'm 140ish lbs full on bottom and small on the top. The bottom fits perfect when done up and the top and waist area are loose but fit as a small to medium would. I have broad shoulders too and dont think this would work for someone with very narrow shoulders. 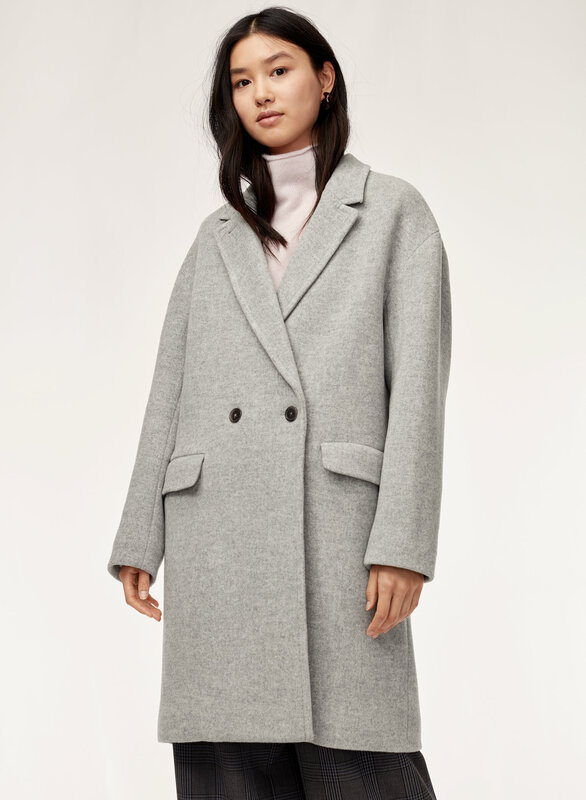 Been wearing this coat a lot this winter season, I love the fit and look! Live in a warm place, and I never really invested in a warm coat til now. 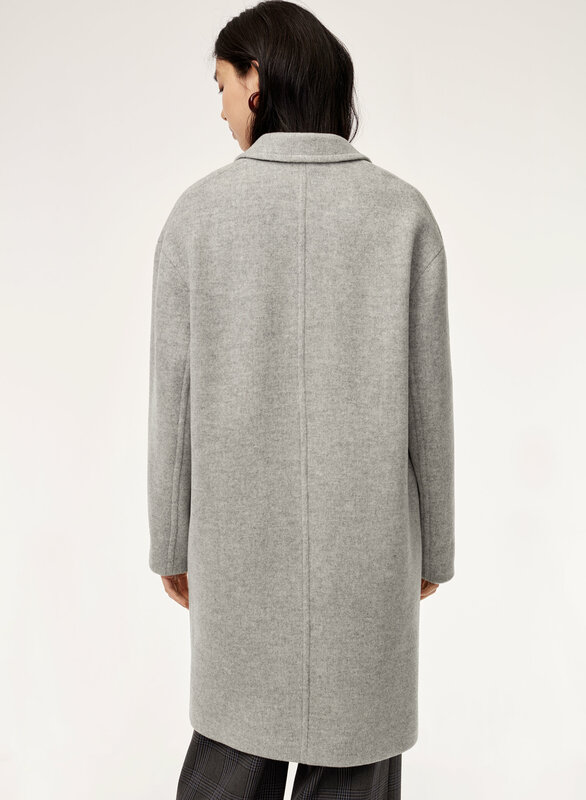 It's a timeless piece, and its roomy to layer underneath in colder temperatures. For myself, the coat was too boxy and made me look like a linebacker. If you are very petite or tall this may work for you. Purchased this jacket during the New Years Special sale and it has been one of my best purchases from Aritzia to date. The fit is oversized so when purchasing, size down a bit. It keeps me very warm and I don’t find that I need to layer much with this jacket— it does the job. 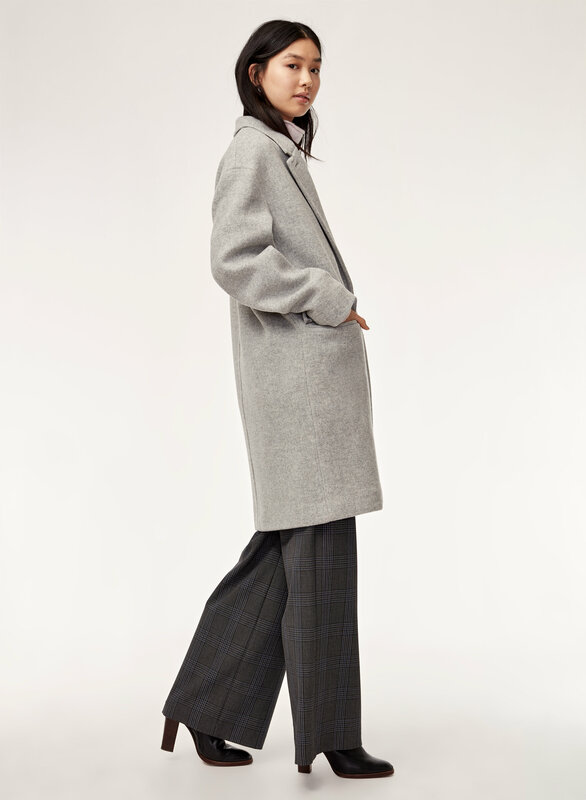 Was so excited for this coat, then tried it on and it made me look like a chimney sweep with 25ft wide shoulders. Very bulky, not flattering, very unsure of who this design is meant to flatter. Nice coat goes well with everything. 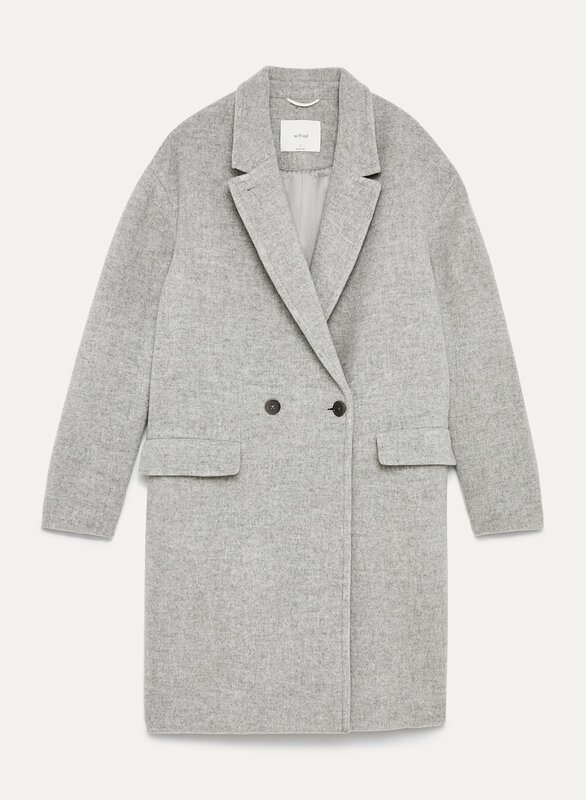 A must have piece in winter. The coat is well-made. However, it is a bit big. I am usually a small (size 4).